Health care will not be the only derisive issue on the Senate’s calendar when it returns to Congress on September 8. 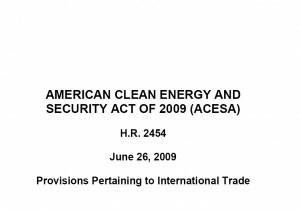 This past June, the U.S. House of Representatives passed the American Clean Energy and Security Act of 2009 (the “Climate Change Bill”). Far-reaching in its impact on the U.S. economy and particularly detrimental to certain energy-intensive sectors, debate in the Senate will become increasingly cantankerous as special interests and certain states lobby for protection. And while the Bill, through a series of complicated cap-and trade equations and a plethora of subsidies to renewable energy, has the potential to completely alter the domestic market, debate thus far has been about its global impact. With fear that countries like China will not pass legislation to cap their domestic industries’ carbon output, the House added two provisions to protect U.S. industries from companies in countries that are not similarly restrained. Out of a 1,400 page bill, these two provisions have become the center of the debate, some calling these provisions much needed protection and others calling them tariffs. But conspicuously absent from these discussions is an analysis of what is really going on here. How exactly do these provisions work? Will they have the intended effect of maintaining the competitiveness of U.S. industries or are they attempts by certain industries to protect their profits? Will these provisions bring countries like China to the table in Copenhagen or will they ultimately produce a tariff war? Can they withstand a challenge under global trade rules? To answer these questions, China Law & Policy sat down with Jake Caldwell, director of Policy for Agriculture, Trade & Energy at the Center for American Progress. Click here to listen to the interview with Jake Caldwell. In our interview, Jake stressed that the two trade provisions in the Climate Change Bill will only apply to those U.S. industries that are both energy-intensive and trade-sensitive, making these provisions applicable in fact to only about five U.S. industries: ferrous metals (iron and steel), nonferrous metals (aluminum and copper), non-metal minerals (cement and glass), paper and pulp, and basic chemicals (World Resources Institute (WRI) report, p. xvi). Under the Bill, these industries will initially be given a two-year waiver from compliance to the Bill’s cap-and-trade regulations. However, after the two years, these industries can seek protection from foreign competition through the following two trade provisions. 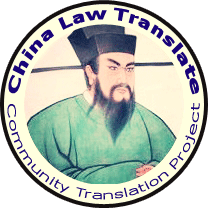 It is the second trade provision, found in Title VI, Part F, subpart 2, that is the most contentious; this is the provision that establishes unilateral border adjustment measures – a.k.a. tariffs – on imports from countries that do not have similar emissions reduction policies. 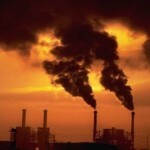 Under this provision, if by 2018 there is no international climate change treaty in force, the President, starting in 2020, is required to impose a border adjustment measure on imports from sectors in countries that have not capped their emissions or reduced their energy-intensity to comparable levels. The U.S. importer of the competing foreign product will have to purchase an “international reserve allowance” through a carbon market. This in effect establishes a tariff on imports from that foreign country. As Jake pointed out, the President can grant a waiver to certain countries if he or she deems that there is an important national economic or environmental reason that takes precedence. But the Presidential waiver is subject to Congressional approval through a joint resolution of Congress. In effect, Congress has to “second” the President’s decision, making for a cumbersome procedure. If either house of Congress does not agree with the President’s reasoning, the waiver is denied. Given the already politically-sensitive as well as politically-expedient nature of the U.S.-China relationship, it is difficult to imagine that any waiver to a Chinese industry could make its way through Congress without a fight. As Jake explained in our interview, the trade provisions were adopted for three reasons: (1) to prevent carbon leakage (the transfer of production and jobs from industries in the U.S. subject to cap-and-trade rules to companies in foreign countries that do not have such rules in place), (2) to keep U.S. manufacturing industries competitive in a potentially unequal carbon-restricted world, and (3) to be used as leverage against other countries that have yet to set emission reduction targets. But will these provisions achieve their stated goals? Or are they protectionist responses to pressure from a few select industries? If a goal is to prevent carbon leakage and promote emission caps in other countries, the trade provisions, especially the border adjustment provisions, are not tailored narrowly enough to achieve these goals. Congress was largely targeting China with the trade provisions. However, out of the five U.S. industries that would be able to use the tariff provisions (steel, aluminum, chemicals, paper and cement), only one industry imports more than 10% of its product from China: the cement sector (WRI report, p. xviii). For the other industries, the majority of foreign imports are from Canada and other developed nations, many of which already have emissions standards that surpass the U.S’. While there will inevitably be some carbon leakage, it’s questionable just how dramatic it will be. Currently, the majority of U.S. imports in these sectors come from countries with less-carbon intense production methods than China or even the U.S. Just because U.S. companies will bare the cost of meeting more rigorous emission standards does not necessarily mean that production will be shifted to countries with less rigorous standards. Currently, China’s production of aluminum is carbon-intensive and uses a tremendous amount of energy. However, China’s production is more expensive than Canada’s or the U.S.’ and can barely remain competitive in the global market. Thus, lower carbon emissions and greater energy efficiency do not always equate with higher costs. Furthermore, if the goal is to prevent carbon leakage, the trade provisions offer no recourse to individual companies from foreign, carbon-heavy countries that are meeting their own private emission caps. For example, Baosteel, China’s largest steel producer, is relatively energy-efficient (WRI report, p. 35). However, under the current Climate Change Bill, even though Baosteel may voluntarily subject itself to carbon targets similar to those that will be imposed on steelmakers in the U.S., Baosteel will still be penalized. The Bill’s trade provisions evaluate imports on a sector-wide basis and not an individual company one. Arguably, if the goal is to prevent carbon leakage, the U.S. has a better chance of influencing a Chinese company’s behavior than an entire sector in China. Thus, the trade provisions should establish a secondary track where certain companies, if they are able to show that they are compliant with U.S. standards, are exempted from the border provisions applied to their country and sector. Finally, the question remains – how do you measure the carbon footprint of an imported product? These provisions rely heavily upon the assumptions that monitoring and reporting of greenhouse gas emissions from the country of origin is (a) an easy task and (b) accurate. While these assumptions might hold true in countries like Canada or Japan, for China, where implementation and enforcement on the local level is a perpetual struggle, any form of data collection is a challenge and results are often less than reliable. Thus, in a world where carbon measurement is problematic, the actual ability to implement the trade provisions remains questionable. As mentioned above, imports from China in the energy-intensive, trade-sensitive industries are very small (14% of cement, 7 % of steel, 3% of aluminum, 4% of paper, and less than 1% of chemicals). These five industries also make up a small portion of the U.S. economy, accounting for 3% of economic output and less than 2% of U.S. employment. While these industries will inevitability be negatively affected by the Climate Change Bill, the impact on the greater U.S. economy is relatively small. Additionally, over-protection of these industries loses sight of the broader U.S. economy and the other goal of the Climate Change Bill: to shift production and jobs to energy-efficient or renewable energy industries. Furthermore, while the border adjustment measures protect these raw material industries, it potentially could hurt those industries that use the raw materials for production of “downstream” products. For example, the border adjustment measures are only applicable to the importation of sheet steel, and not to products that are made out of steel, like cars or appliances (WRI report, p. 52). U.S. car makers will still have to compete against foreign car manufacturers whose products could contain steel from countries without carbon regulations. Without the benefit of border adjustment measures on cars, U.S. car makers would become less competitive. Similarly, U.S. chemical manufacturing companies are fairly competitive globally. These companies refine the carbon-intensive, raw material chemicals to make downstream, specialty concoctions (WRI report, p. 52). However, by imposing a border adjustment measure on the raw material chemicals, any of these chemical manufacturing companies who import raw materials, would experience an increase in the cost of production, making their products less competitive abroad. While the border adjustment measures will protect the five energy-intensive, trade-sensitive industries’ profits, they could likely hinder the competitiveness of industries that use these raw materials to manufacture downstream products. The jury is still out on whether border adjustment provisions do in fact bring countries to the table to discuss climate change. The general assumption is that tariff threats rarely cause countries to act, especially countries as large as China. However, after the U.S. backed out of the Kyoto Protocol, the European countries threatened similar types of tariffs, targeted precisely at energy-intensive U.S. industries. Perhaps a mere coincidence, but it’s interesting to note that today, the U.S. is now close to passing climate change legislation. 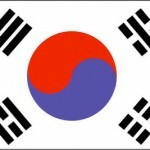 Recently, South Korea voluntarily set a 2020 emissions reduction target; the South Korean government cited the fear of border tariffs as a reason to set targets. But it is still questionable how far the threat of tariffs can go. China has certainly taken notice of the border adjustment provisions in the U.S. 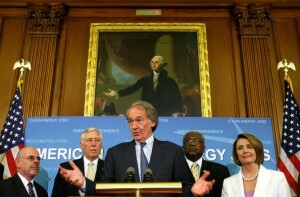 Climate Change Bill, but that does not mean it will agree to carbon caps. China’s exports to the U.S. that would likely be subject to the tariff provisions accounted for less than 0.2% of economic output in 2005, thus making the U.S.’ tariff threats of little consequence to China (WRI report, p. 57). However, of greater consequence to the U.S. and to the rest of the world is if China, the largest emitter of greenhouse gases, walks away from climate change negotiations because it feels as though it needs to “act tough” for its domestic audience. In looking at the current border adjustment provisions in the Bill and the tepid success they have had thus far, the Senate might want to ask itself if the risk is worth it. As Jake mentioned, World Trade Organization (WTO) rules require that countries pass nondiscriminatory trade provisions – that the provisions do not discriminate against foreign products in favor of domestic ones. Arguably, the current Bill does discriminate. 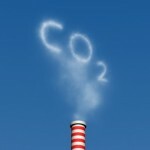 As discussed earlier, individual companies that could be meeting similar carbon caps will be discriminated against if their home country has not agreed to carbon caps. Without some sort of procedure that exempts foreign firms which individually meet carbon caps from the border tariffs, the current trade provisions may not withstand a WTO challenge. There will certainly be a Senate showdown over the Climate Change Bill. Already ten Democratic Senators have stated that the trade provisions need to be stronger. But do they really? If your singular goal is to protect 3% of the nation’s economic output and 2% of its jobs, then yes, the trade provisions will maintain the status quo, at least for the time being. But if your goal is to increase innovation in new sectors like renewable energy, create clean jobs and limit global climate change, then the trade provisions, as they stand now do not achieve that goal. There is a need to maintain U.S. competitiveness in the five effected industries, but in the current tariff provision, what is being maintained are corporate profits in a few select, and powerful, industries. The Senate needs to take a good hard look at the current trade provisions and question if it is worth it. Perhaps it is time to move away from defensive measures against China and begin to better engage China in agreeing to a climate change treaty. Without China’s agreement, any legislation the Senate passes will have negligible effect in limiting climate change.